Our faith is based on the proven power of God through the endowment of the Holy Spirit. This is in and of itself a gift from God, that He gives us His Spirit to enable us to reach out to Him. The more we reach, the more He gives us. The more He gives us, the more obedient we become. The more obedient we become, the more we are tested. The more we are tested, the more we grow. The more we grow, the more assured we become of God's awesome power. The more we become assured of God's awesome power, the more we step out. The more we step out, the more our faith increases. The more our faith increases, the more of God's glory we see. The more of God's glory we see, the closer we come to know the true heart of God. The more we know the true heart of God, the more we understand love. The more we understand love, the closer we come to Jesus. The closer we come to Jesus, the more we realize that we truly can accomplish nothing without Him. The more we realize that we truly can accomplish nothing without Him, the more we rely on Him to run our lives. The the more we rely on Him to run our lives, the closer we get to seeing the face of God. Faith is the supernatural foundation that enables healing and miracles to happen! 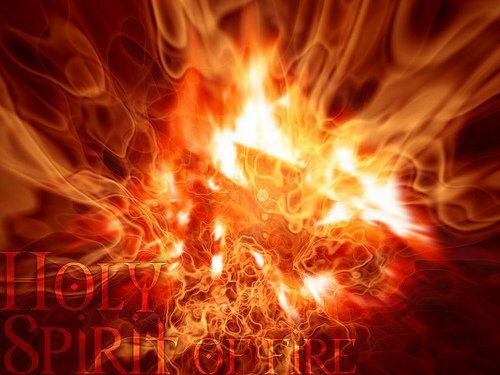 Faith is the oxygen that fuels the fire of the Holy Spirit and gets Him moving! When we pray for healing we pray knowing in faith that the healing took place 2,000 years ago on the cross. This kind of Faith can only come from God Himself, not from you! This kind of Faith is part of God’s personality and nature so that when we are anointed with this kind of Faith, the Holy Spirit imparts a portion of the Father’s faith in us. There is absolutely no limit on this kind of Faith at all – we limit ourselves by our own unbelief. In Matthew 11:23 Jesus tells us that “whoever” can do anything! The question is Do you believe it?!? Whoa, it's a good day.